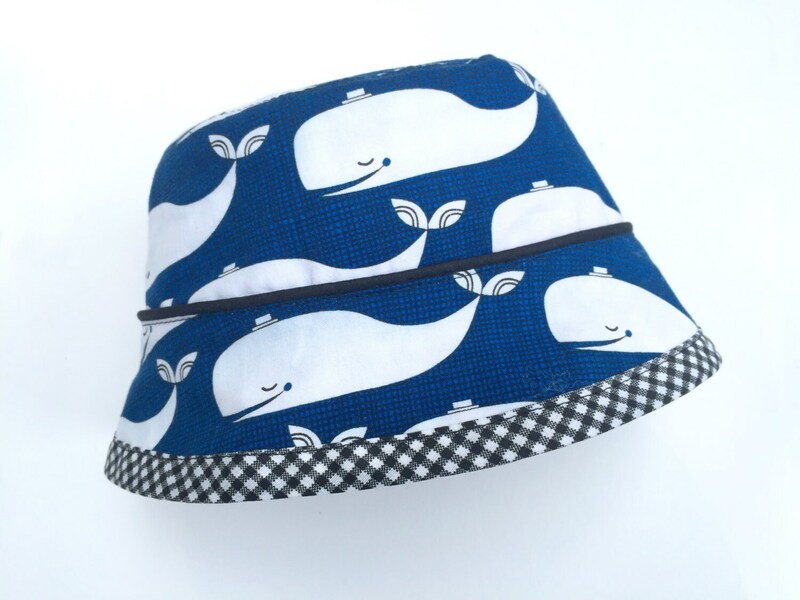 This fun reversible bucket hat gives two different looks for versatility and fun! 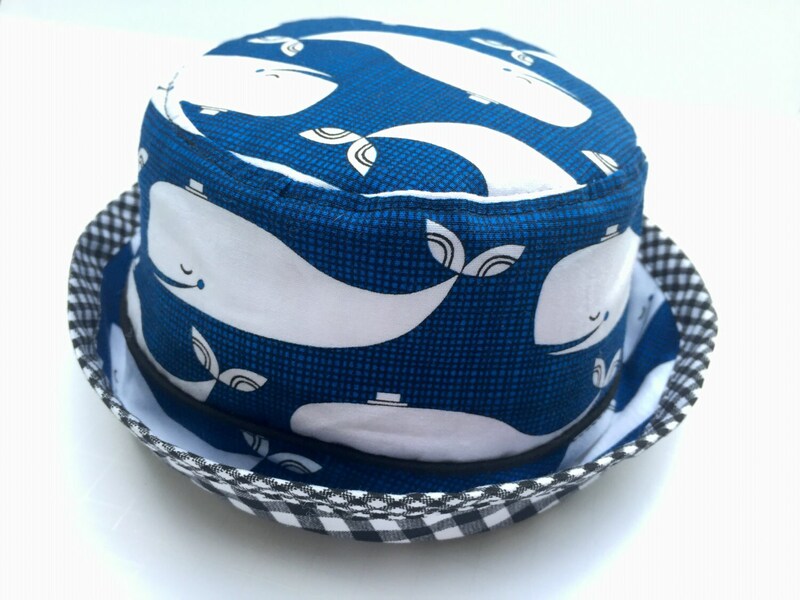 Flip out for happy, swimming whale printed cotton, flip again for contrasting black and white gingham print. 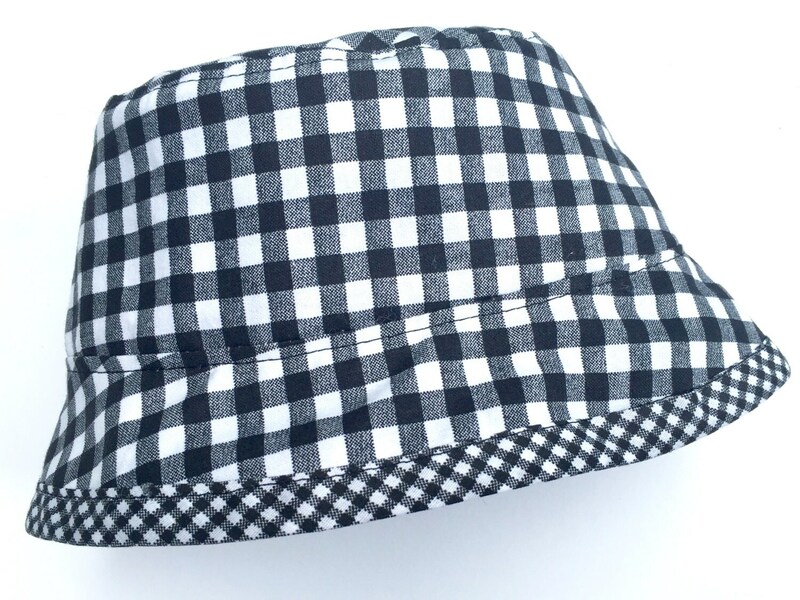 Black cotton piping on hat band and gingham bias trim on the hat brim helps to keep its shape. Top stitching on both sides for a finished look. 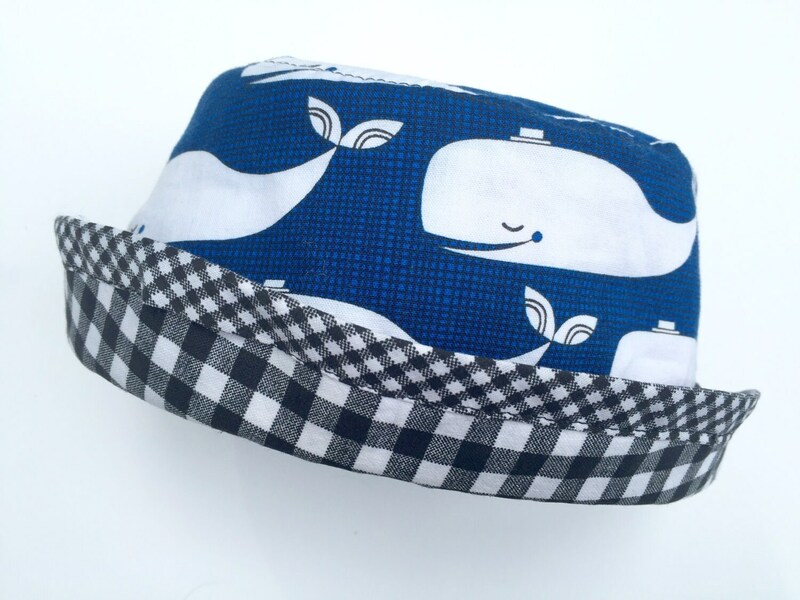 Both materials have been pre-washed and are 100% light-weight cotton, brim will keep sun out of eyes and face. 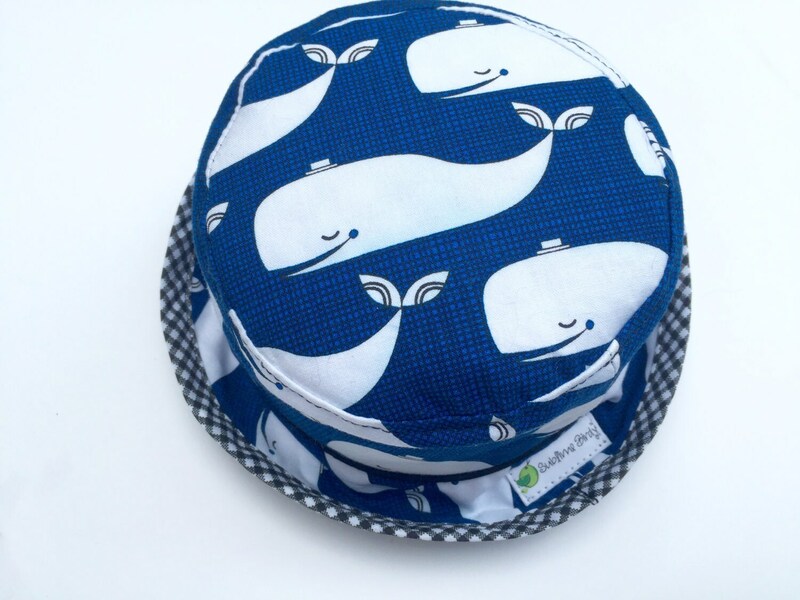 Hat can be washed in cool temp water and hung to dry, iron or steam out wrinkles. Don't forget to measure your child's head to avoid a disappointing fit, to measure simply run a tape measure around child's forehead just above the ears and measure to closest 1/4 inch. Love this! So glad to have the custom fit. We get compliments on it every time my little guy wears it. Thank you! SO cute! Love how adorable my baby looks in it!